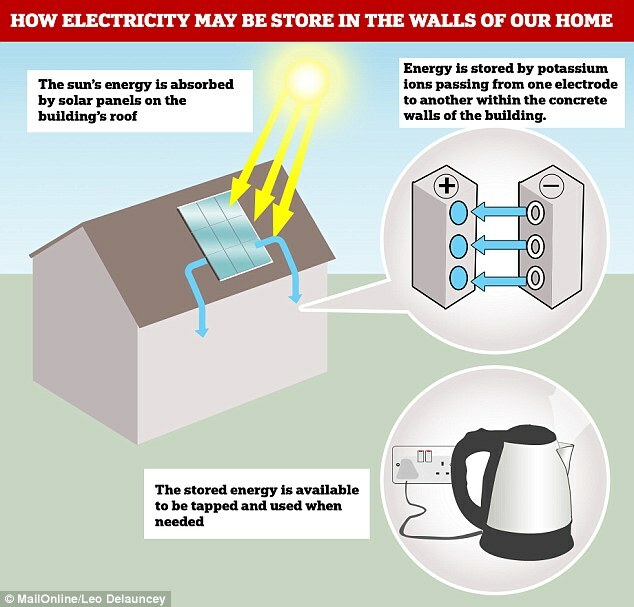 The walls of your family home could soon double-up as a battery, storing energy in its blocks. Scientists have developed a new type of concrete that is infused with potassium ions, which allow it to store electricity for long periods of time. When energy production levels drop, the concrete would kick in and power a house using the reserve stock of energy it has saved up. Renewable energy sources are becoming more prominent, slowly eradicating nuclear and coal-powered plants. One of the major obstacles hindering the expansion of the industry is the inability to sufficiently store any excess power that is produced. Batteries work by transferring charged particles from one side to the other — storing energy in a chemical medium that can later be released. The researchers found that these charged particles, known as ions, can also flow through a crystalline structure - like concrete - accumulating on one side. This physically 'traps' the energy and does not require the use of chemicals, making the potassium-infused concrete technically a capacitor, not a battery. 'The idea is to store electricity in the structure itself and release it at times of peak demand,' said Mohamed Saafi, from Lancaster University's engineering department, who developed the technology. Professor Saafi notes that capacitors hold less energy by volume than batteries, but there is far more volume available if the new form of concrete was to be widely used as a building material. 'We have whole buildings to use, and it's cheap,' he added. Another idea that to solve this problem was proposed by Elon Musk and involves the installation of large lithium battery banks in order to store energy. The theory is that they will save electricity when it is being created in excess, such as during the summer months, when energy requirements plummet. It would then discharge electricity to power homes when energy is in demand, during winter, for example. Improvements in power storage technology are essential as the amount of renewable electricity produced is never at a stable level. 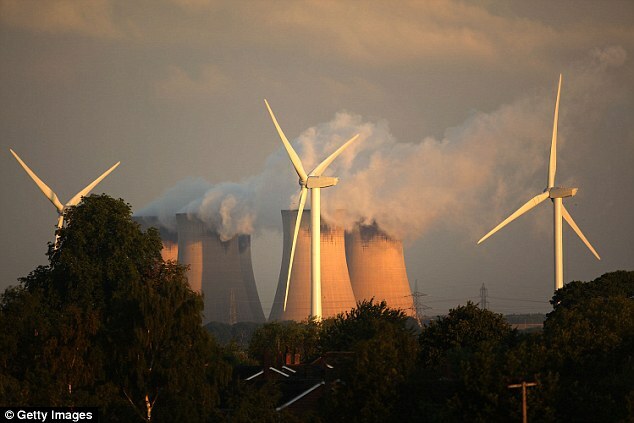 Wind turbines can be hit and miss. For example, an area of high pressure has lingered over the UK this summer, slashing the amount of electricity produced by wind farms. WHAT IS A ZERO-ENERGY BUILDING? Generally, a zero-energy building (ZEB) produces enough renewable energy to meet its own annual energy consumption requirements. This means it reduces the use of non-renewable energy in the building sector. A ZEB must use all cost-effective measures to reduce energy usage, including using renewable energy systems. Not only does a ZEB have less environmental impact, it also results in lower operating and maintenance costs - meaning it is in theory cheaper to live in too. ZEBs are also more resilient to power outages, natural disasters and have more energy security. Private commercial property owners are often interested in developing ZEBs to meet their corporate goals and respond to regulatory mandates from government. The exact definition of how a ZEB is calculated varies from region to region as well as between organisations. At one point, turbines were generating less than two per cent of the country's power - the lowest figure for more than two years. According to Lancaster University's calculations, the building properties of the capacitor concrete would be similar to that of regular concrete. 'If you build this in a new structure, you're not going to lose anything. We can use a lot of this,' Professor Shaafi said. The technology is still small-scale and requires more research before it can become commercially viable. 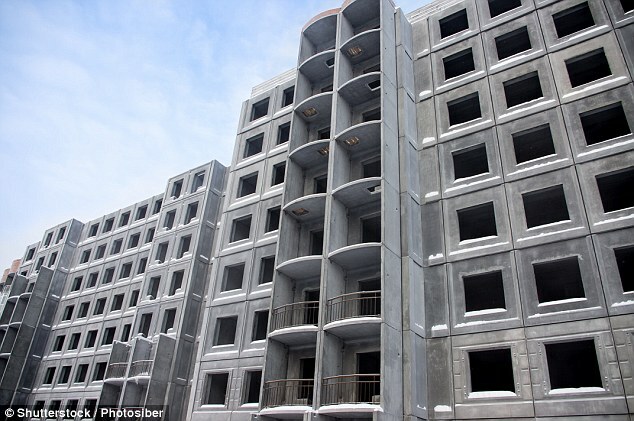 A ten year plan is in place to bring the special concrete to mass-market, and it could be used in buildings as well as street lamps that could be removed from the grid. Application for the concrete could go beyond houses as changes in the flow of ions correspond to stresses on the structure. If the structural integrity of a bridge was compromised after a crash, for example, the streetlight that it powers would change colour or go off, revealing the incident. The research was published in the journal Composite Structures.